1. Now that the NBA playoffs have started I’ll make my prediction. Those that know me personally can vouch I’ve said this well before the playoffs even started but now I’ll put it down on my column. The Cleveland Cavaliers will win the NBA Finals, ending the city’s 50 years Championship drought, and Kyrie Irving will be named the Finals MVP. 2. Speaking of the NBA playoffs, assuming the Chicago Bulls get by the Milwaukee Bucks, they’ll be next for the Cavaliers. Here’s to hoping D-Rose stays healthy. I, for one, believe the Bulls are a better team WITHOUT Rose. Give me more Rose and less Jimmy Butler. It Just makes the series that much easier for my Cavaliers. 3. Speaking of the Bulls, the series with the Cavs should be fun. We all know how Joakim Noah feels about the City of Cleveland, but do you know what he thinks of LeBron? Well, see for yourself. 4. The mega fight between Floyd Mayweather and Manny Pacquiao is less than two weeks away. Boxers usually walk to the ring with a hype song to get them fired up, however, Pacquiao is going to extreme measures with his ring entrance song. He actually recorded his own song to enter to. Chances are you’ve never heard of it, but lucky for you, I’ve got your back. Check it. Not my idea of a hype song to say the least. If I was advising Pacquiao, I’d have him enter to something a bit more up-tempo. Something like this. At least there’s an Ivan Drago reference in my pick. 5. Speaking of the fight, Mayweather is rumored to be making north of $100 million for this fight! ‘Money May’ is already the highest paid athlete in the world and when you have that much money and can have pretty much anything you want, you start purchasing silly things. Case in point. 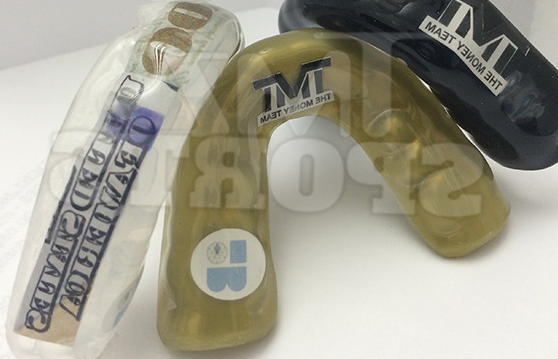 Mayweather has a $25,000 mouthpiece that has actual $100 bills sealed on the inside. Crazy, right? Here’s a look at a few of them. 6. Recently I was home during the week in the middle of the day and did what any normal American would do when at home during normal business hours. “What’s that, you ask?” Watch The Price is Right of course. Now I have immense pride in Cleveland, the city I was born in, but even I had to question this. Either Cleveland is truly blowing up, or The Price is Right is on the decline. Get this. One of the prizes on the ‘Showcase Showdown’ was a trip to Cleveland with tickets for the Rock and Roll Hall of Fame! I’m not making this up just to get a laugh either, and yes, you read that correctly. I’ll repeat. One of the prizes on the ‘Showcase Showdown’ was a trip to Cleveland with tickets for the Rock and Roll Hall of Fame! I’m not talking about one of the prizes that everyone bids on beforehand, now. I’m talking about one of the grand prizes at the end of the show! My jaw is still dropped from that moment lol. I love my city, but even I know that a trip to my hometown shouldn’t be a prize worthy enough for a ‘Showcase Showdown.’ Or am I missing the boat on this one? Cleveland family, feel free to share your thoughts. 7. Got a case of the Monday blues? I’ve got just the answer to wake you up and get you ready to accomplish damn near anything after a party filled weekend. Listen to ‘Pitbull.’ Here’s one such song that should fill your Monday with a little joy. 8. I love Spring, mostly because that means winter is over, but I also love spring because of what it brings. No, I’m not talking about the rain or the flowers that begin to bloom. 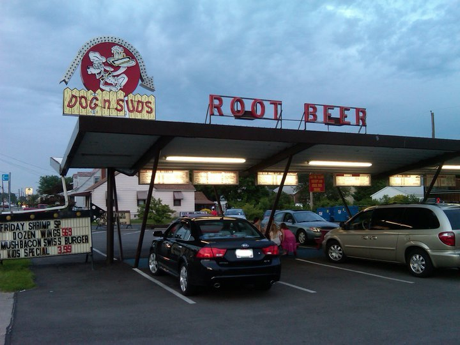 I’m talking about the Aut-O-Rama drive-in movie theatre and the Dog n Suds drive-in restaurant. I’m a sucker for history and how simple things used to be. 9. One of my favorite shows growing up was the Dukes of Hazzard so I was saddened by the passing of Roscoe P. Coltrane. How can you not be entertained by this sheriff. 10. If you haven’t seen ‘The Gambler’ starring Mark Wahlberg, don’t even waste your time. Yes, the trailer makes this movie look good, but just believe me. It’s not. 11. If you’re anything like me, you miss the sound of real Hip-Hop. Today’s version of the genre is horrid, so I was beyond excited to learn that De La Soul was coming out with a new album. 12. The College football season is just 135 days away! 13. 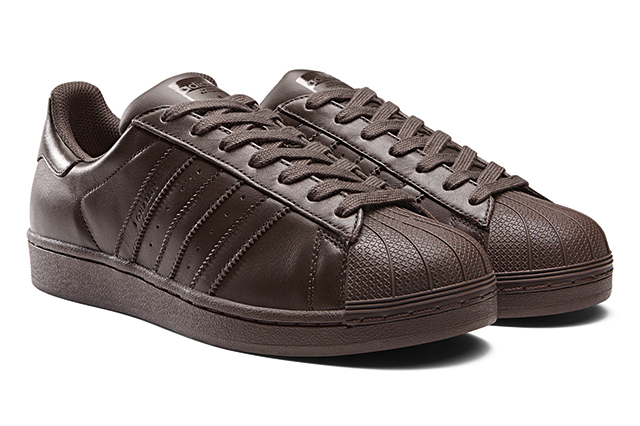 I picked up a new pair of shoes recently. Here is the latest addition to my addiction.